At Lowe’s Construction, LLC, our New Orleans roofing contractors have experience in all types of roofing materials, roofing installations and roofing repairs. Our roofing experts are here to help you select the right roof that fits your home, your budget, adds to your home’s value and saves you money on your monthly energy bills. Whether you need a new roof installation on a newly constructed home, a roof replacement or a roof repair, our New Orleans roofing experts can handle it all. 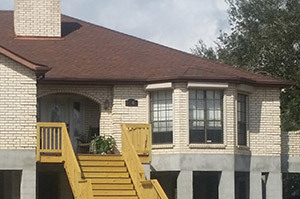 Lowe’s Construction, LLC has become the roofing contractor that New Orleans homeowners have come to trust to get the job done right the first time. The professionals at Lowe’s Construction, LLC are committed to providing you with the finest quality service with professionalism and attention to detail. We take great pride in taking care of each client’s roofing needs from start to finish and are available around the clock to answer any questions you may have or clarify anything about your project. We are there for you throughout the entire process.